Chia seeds are great for anti-aging, skin health, muscular endurance, weight loss, stamina, energy, digestive health, body metabolism, fat burning, heart health, hydration and the building of lean muscle mass. Chia seeds were originally grown in Mexico and are a part the mint family (those mint-tasting leaves they put in your mojito cocktail). Chia seeds are very nutrient dense, rich in fiber, omega-3 fats, protein, vitamins and minerals. The ancient Aztecs, and now native people of mexico and southwestern region of US, have been known to sustain day-long runs and activities on just a single serving of chia seeds. Knowing the nutrition properties of chia seeds will help make this story more believable. Chia seeds are packed with a very rich protein source that is easily and quickly digested by the body. Similar to the speed of which whey protein digests, chia seeds are digested and absorbed very quickly, allowing for rapid transport of nutrients to cells and tissues. For this reason, its very beneficial to consume chia seeds prior to working out (more on this later). Chia seeds are excellent for anyone interested in building lean muscle mass. But theres more. Chia seeds provide a richer source of Omega-3 essential fatty acids, more so than flaxseed, and fish like salmon and sardines. So if you’re someone who is spending a ton of money on fish-oil capsules, its time to turn to a better, healthier alternative. In addition, chia seeds are a excellent source of dietary fiber, almost twice the amount of fiber a cup of oatmeal gives you. Research shows that regular daily consumption of chia seeds will improve metabolism, help increase lean muscle mass, promote muscle protein synthesis, and help burn body fat. Chia seeds provide important vitamins and minerals, including calcium, boron, iron, magnesium, manganese, zinc, and much more. Chia seeds can also keep your body hydrated for longer. Similar to how creatine helps your muscles hold water, Chia seeds can hold water too. Chia seeds absorb 12 times their weight in water. This will exponentially prolong your bodies ability to remain properly hydrated for longer. This will improve regulation of nutrients and help maintain healthy cell function. Basically all we’re saying is that chia seeds are awesome. Chia seeds are your answer to consuming more healthy, nutrient dense super foods. Chia seeds deliver maximum nutrients with minimum calories that are easily used and digest by your body. Its the #1 recommend super food for anyone from Millionaires to Olympic athletes who want to function at optimal levels every single day. Chia seeds have been around far longer than you could imagine. The fierce warriors of the ancient Aztec world were known for their legendary athleticism, strength and endurance during battles. The key to their success in battle was due not only to their training but also this particular food they ate before battle. This nutrient dense seed was consumed before every fight granting these warriors more endurance and energy to endure longer battles without needing to rest. In old Aztec times, chia seeds were considered almost as valuable as gold and were often used as a currency. The need to consume nutrient dense foods is on the rise. As we work more and more hours, the need for a healthy way to sustain a high intensity life styles continues to grow. Fortunately, more and more researchers are re-discovering the potent health benefits that chia seeds provide when consumed on a regular basis. 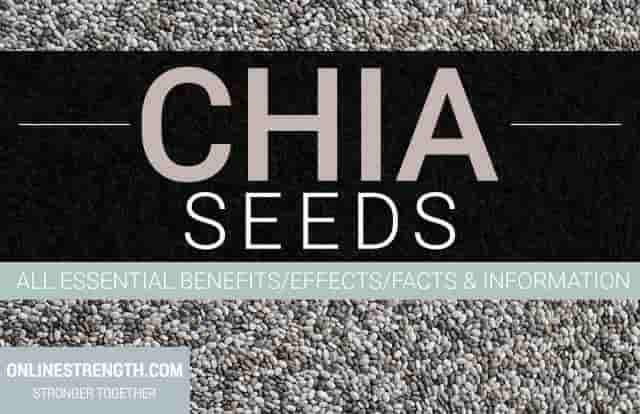 If you’ve ever wondered what the top performing people of the world eat, from millionaires to professional athletes, chia seeds are certainly a food readily consumed. If you want to perform like the best, you should be eating like them too, and this is why you need to consume chia seeds on a regular basis. Adopt the lost ways of the Aztecs! Chia Seeds help to improve metabolism, increase lean muscle mass, and lower unhealthy cholesterol. Chia seeds are an excellent food for keeping the body hydrated and lubricated. Chia Seeds can improve digestive and other gastrointestinal problems. Chia seeds are very versatile and can be consumed in every-which-way. To be a true Aztec warrior, you can follow this simple recipe known as the traditional drink of the Aztec and Tarahumara people. Mix and let sit for least 10 minutes. After the 10 minutes are up, mix for another 5 minutes. After this 15 minute preparation your chia seeds will have absorbed most of the water, forming a gel like substance. Consume your little balls of organic nutritional energy. Instantly feel the energy and vitality this simple but powerful superfood provides you. This isn’t the only way you can eat your chia seeds. Adding them into yogurt, smoothies, pancakes, baked goods, and salads are ways you can boost the nutritional value of all your meals. Eating them raw straight out of the bag is just fine, too!